I found a neat looking apothecary jar at Michael's on sale for $6.99. I had originally planned to etch the word "Love" on the jar, maybe a little heart in place of the "O" but I didn't get a chance to work on it. I also wasn't sure about the feasibility since there isn't a large flat surface on the jar to work with. So I ended up just tying leftover ribbon from the valentine garland on the knob on the jar top and placing slips of paper for the notes next to the jar. 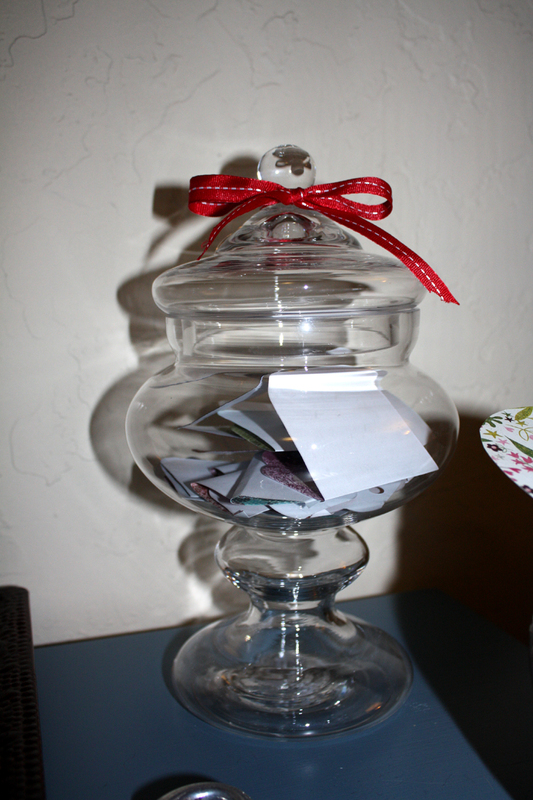 Here's a picture of our jar all filled with notes!